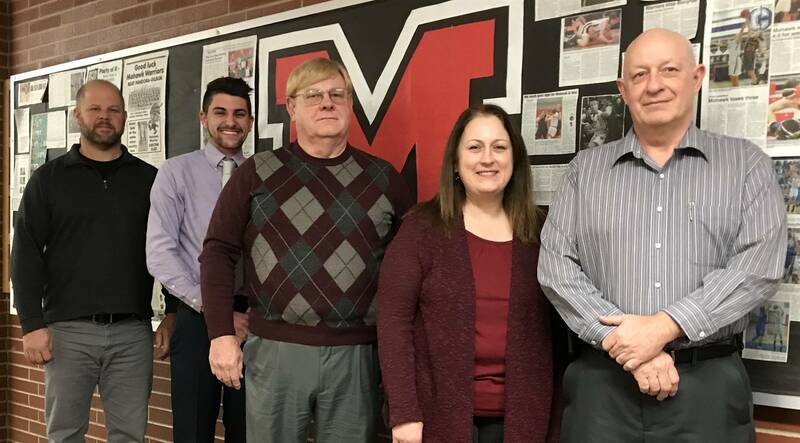 Mohawk Local School District contracts with NEOLA® www.neola.com to provide consulting and recommendations on policy updates. NEOLA® publishes two regular Updates per year that include proposed revisions to policy, guidelines/procedures, and/or forms that are based on changes in Federal and State law, government regulations and school practices. NEOLA® will publish special Updates when legislative action requires Districts to make policy decisions that cannot wait until the next regular update. The proposed policy additions, revisions, or deletions are a result of a personal consultation between the Superintendent and a NEOLA® associate. Before recommending these policy changes to the board of education for approval they will be available for public comment for one month. Policies for public input and consideration for adoption. Policy 5113.02 - School Choice Options (Revised) - This policy has been revised to reflect the reauthorization of the Elementary and Secondary Education Act (ESEA) through the Every Student Succeeds Act (ESSA), thus eliminating references to the No Child Left Behind (NCLB) legislation. This revision reflects current Federal law and should be adopted to maintain accurate policies. Policy 5610.03 – Emergency Removal of Students (Revised) - Revisions to these policies included in this update reflect the requirements of H.B. 318 regarding discipline of students in grades pre-K through 3. The language added at this time addresses the phase-in mechanism for the restriction of disciplinary action for this age group of students. These revisions reflect current Ohio law and should be adopted to maintain accurate policies. Policy 6320 - Purchasing and Bidding (Revised) - This policy has been revised in response to client questions regarding acquisition of school buses. The purchase or lease-purchase of buses requires competitive bidding. A school bus is defined as a vehicle designed to transport more than nine (9) passengers, excluding the driver. In addition, content of the policy was rearranged to allow for better coordination of topics. These revisions are recommended for adoption. Policy 6325 – Procurement - Federal Grants/Funds (Revised) - This policy is revised in response to audit questions regarding Small and Minority Businesses and Women’s Business Enterprises. The language added clearly references the entities in question which had originally been encompassed by the C.F.R. citation. A new administrative guideline is offered to provide more information regarding affirmative steps the District should take in encouraging competitive participation in the procurement process. The District should be sure to check that Policy 6320 – Purchasing and Policy 6325 - Procurement - Federal Grants/Funds provide consistent guidance for fiscal transactions. It is important to note that when dealing with federal, state, and local provisions, it is always the most restrictive threshold or requirement that prevails. This revision is recommended for adoption. Policy 6605 - Crowdfunding (Revised) - Revisions to this policy and related administrative guideline are prompted to recent attention by the Auditor of State (AOS) regarding this evolving fundraising mechanism. Emphasis was added in policy to address the importance of privacy protection for students and to maintain appropriate fiscal safeguards. These revisions are recommended for adoption. Policy 7540.02 - Web Accessibility, Content, Apps, and Services (Revised) - This policy has been revised to reflect current accessibility standards that have been frequently cited and emphasized by staff from the Office of Civil Rights (OCR). These revisions reflect the current OCR requirements and should be adopted to maintain accurate policies. Policy 8400 - School Safety (Revised) - This policy has been revised to reflect the reauthorization of the Elementary and Secondary Education Act (ESEA) through the Every Student Succeeds Act (ESSA), thus eliminating references to the No Child Left Behind (NCLB) legislation. This revision reflects current Federal law and should be adopted to maintain accurate policies. Policy 8500 – Food Services (Revised) - This policy has been revised in response to issues raised by United States Department of Agriculture (USDA) reviews of District policies and procedures. The USDA's position is that an appropriate "team" is required to approve any dietary modification to the school's USDA-reimbursable meal pattern for a student, whether or not that student has a disability or is eligible for a Section 504 plan.